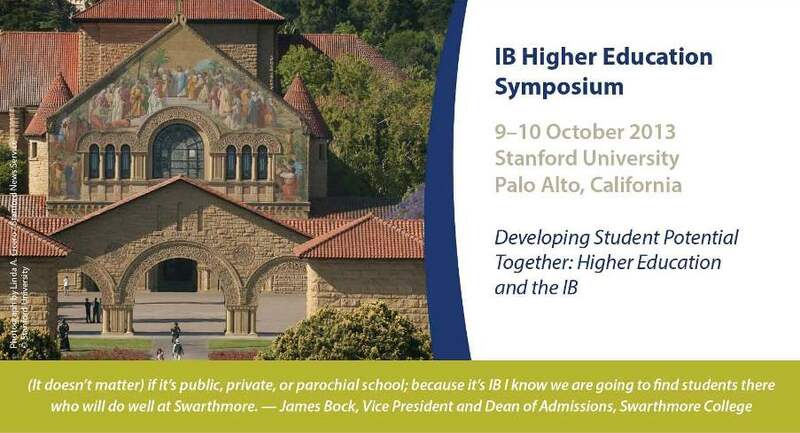 The International Baccalaureate (IB), a leader in international education years 3-19, would like to invite you to the 2013 IB Higher Education Symposium at Stanford University, one of the world’s leading research and teaching institutions. Study after study shows that students who participated in IB programmes are better prepared academically for university level courses, and are more likely to graduate (and graduate sooner) than other students. 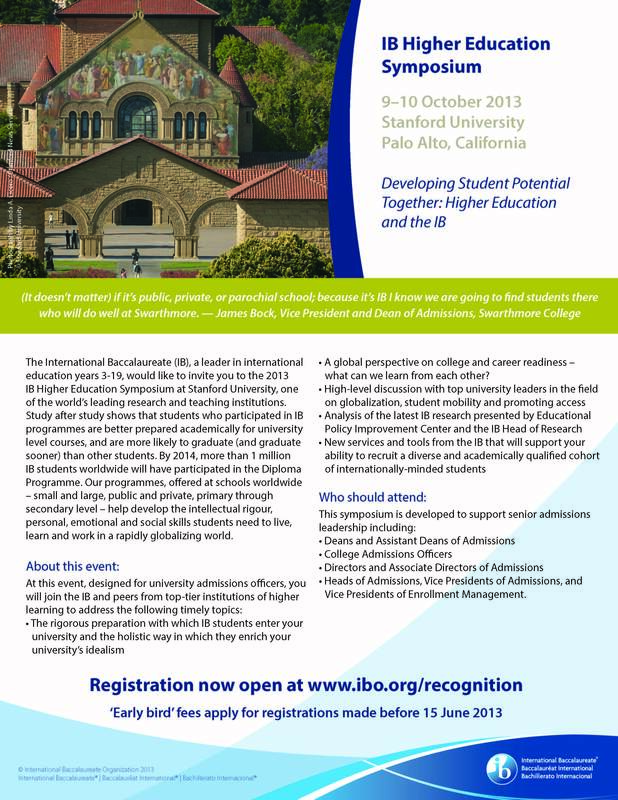 By 2014, more than 1 million IB students worldwide will have participated in the Diploma Programme. Our programmes, offered at schools worldwide – small and large, public and private, primary through secondary level – help develop the intellectual rigour, personal, emotional and social skills students need to live, learn and work in a rapidly globalizing world. A global perspective on college and career readiness – what can we learn from each other? Vice Presidents of Enrollment Management. What makes IB teachers distinctive?